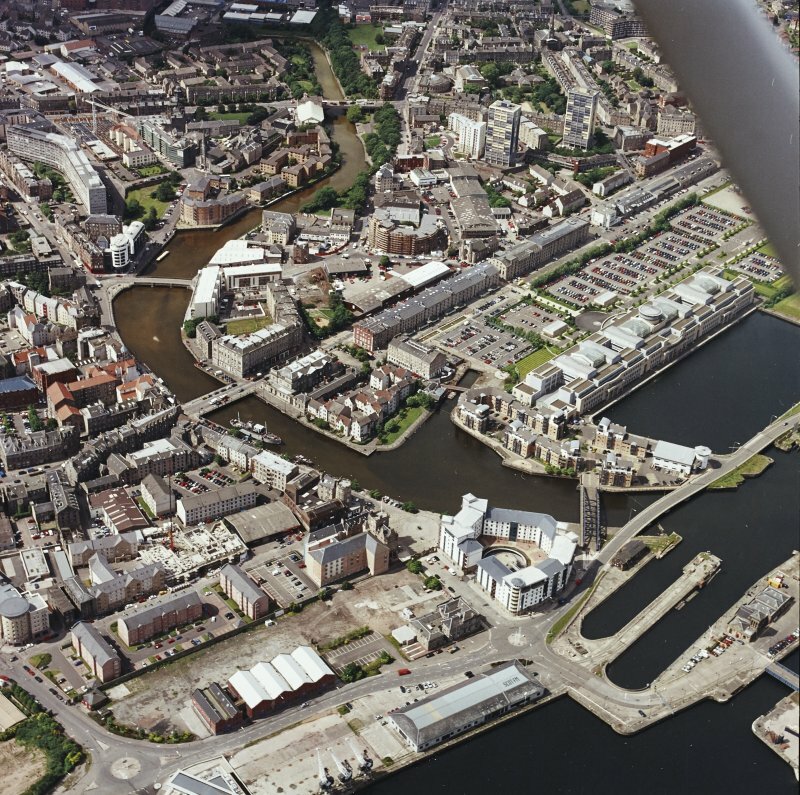 Oblique aerial view of Leith centred on the Sandport area, taken from the NW. 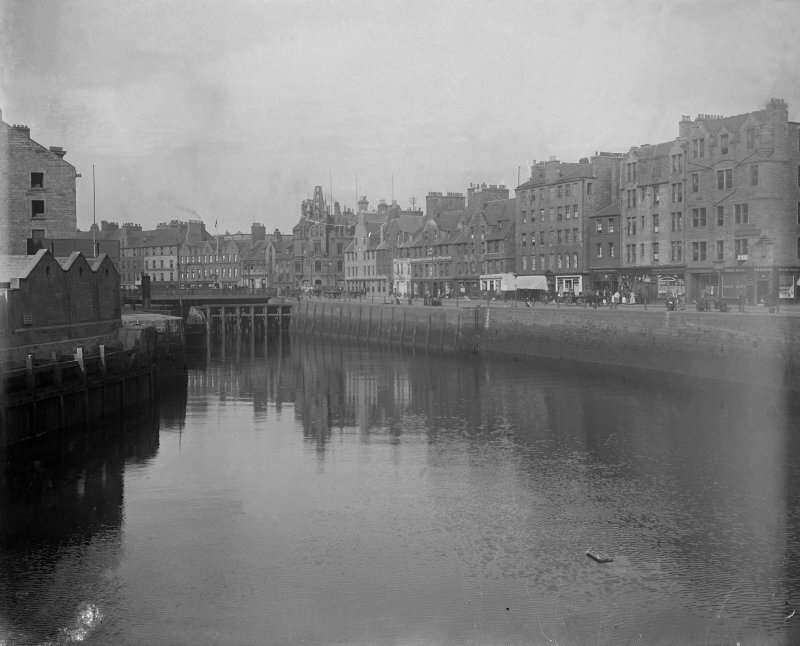 Edinburgh, Leith, The Shore. View of railing along river. 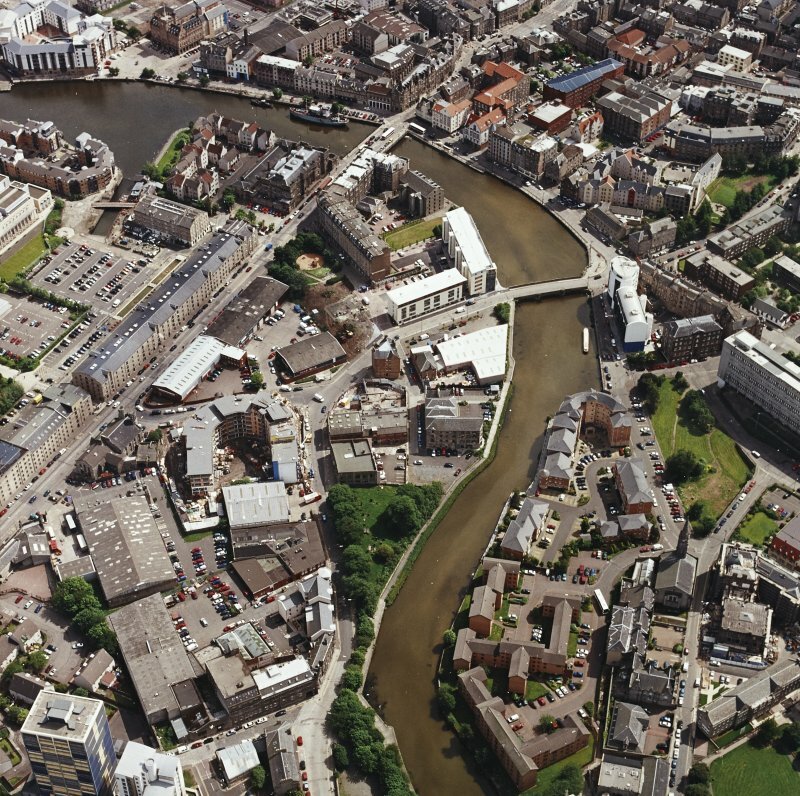 Oblique aerial view of Leith centred on the Shore area, taken from the ENE. 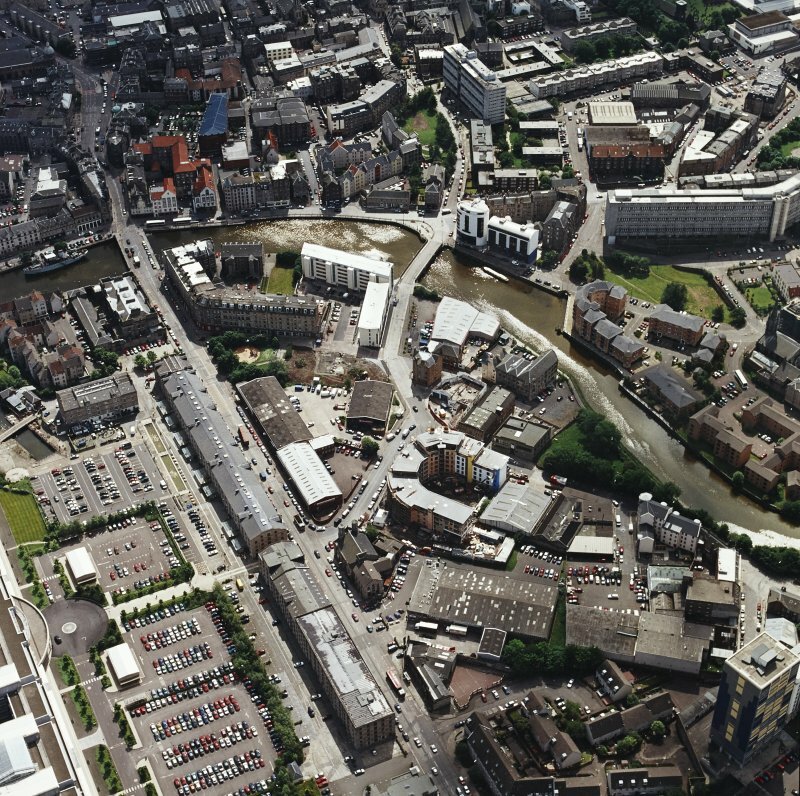 Oblique aerial view of The Shore, looking to the NE. 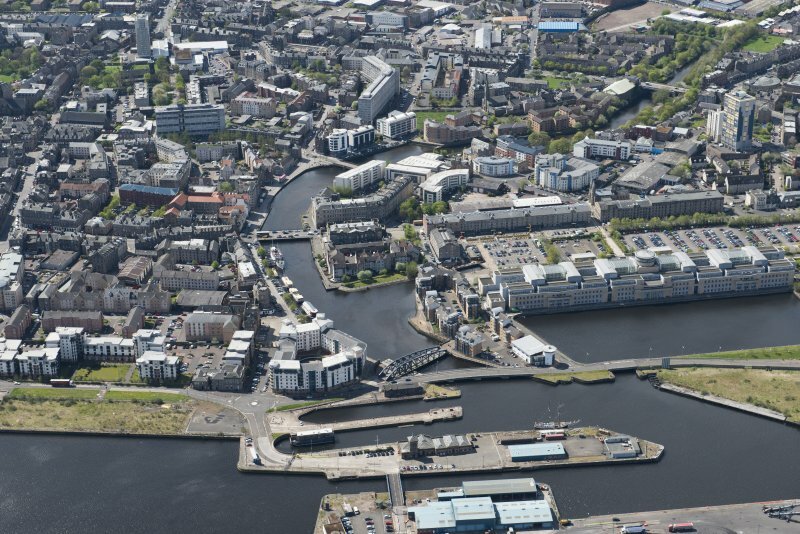 Oblique aerial view of The Shore, looking to the SW.
Edinburgh, Leith, The Shore. General view. 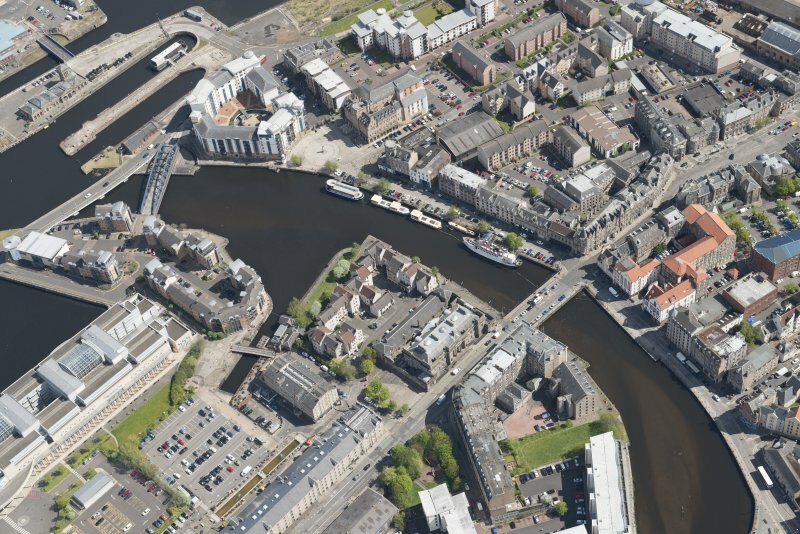 Oblique aerial view of Leith centred on the Sandport area, taken from the WSW. 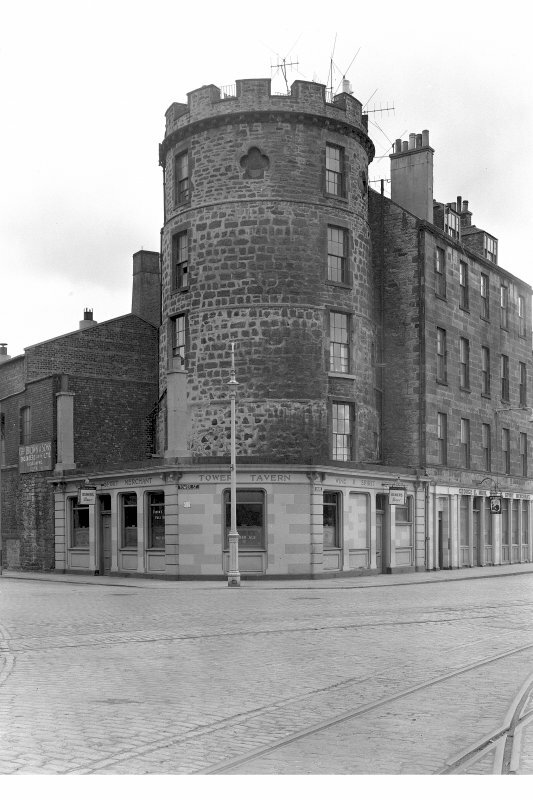 Edinburgh, Leith, the Shore & Leith Signal Tower. View of signal tower and Tower Street. 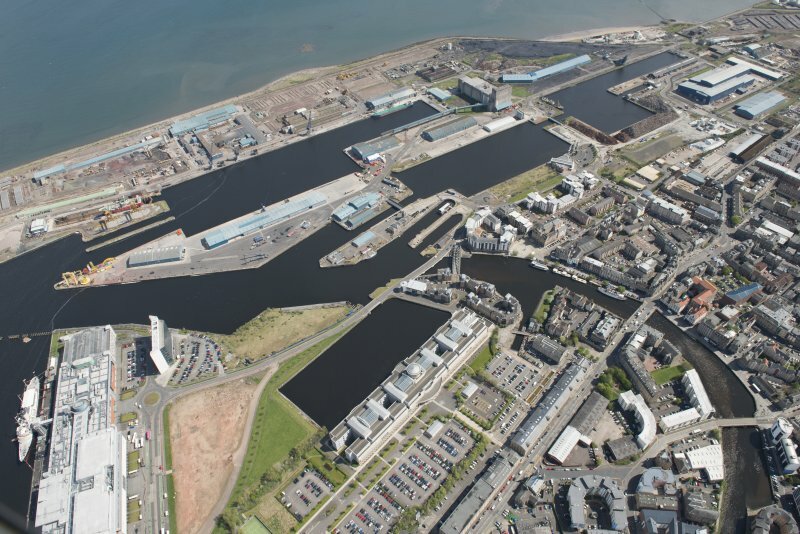 General oblique aerial view of Leith Docks centred on Victoria Docks, looking to the NE. 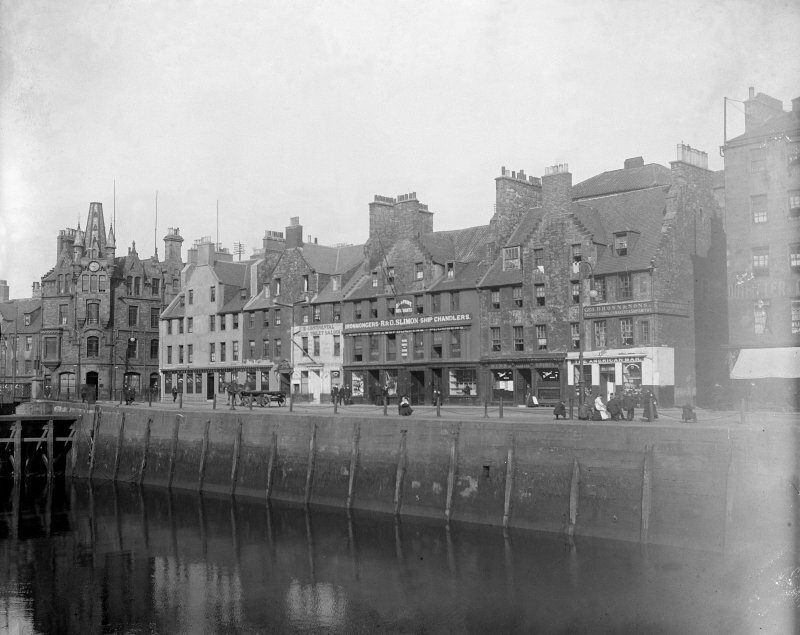 Edinburgh, Leith, St Ninian's Row, The Shore. General view. 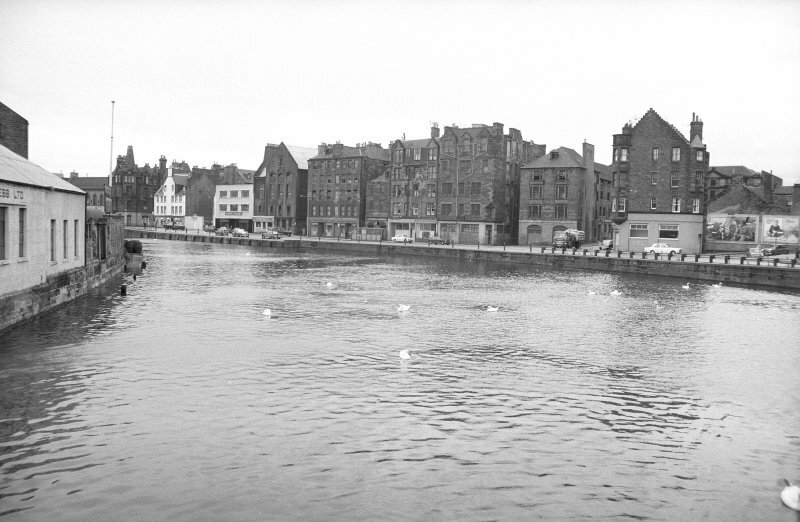 View of The Shore, Leith, Edinburgh Titled: 'Sept. 1905. 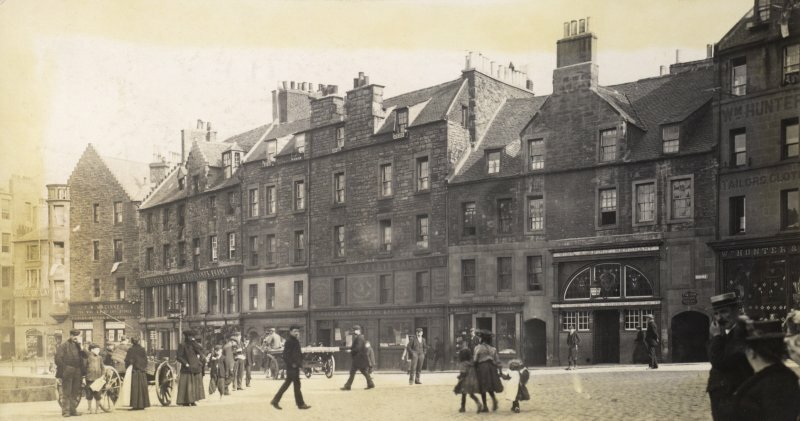 The Shore, Leith' PHOTOGRAPH ALBUM No.30: OLD EDINBURGH ALBUM. Edinburgh, Leith, 28 The Shore. View of commemorative plate on quay opposite No.28. 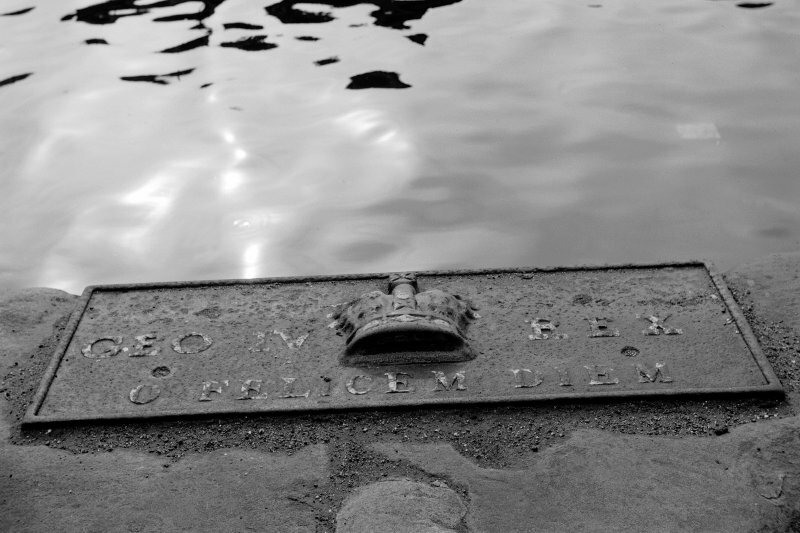 Insc: 'GEO IV REX / O FELICIUM DIEM'. Information from Mr. J. Gifford. 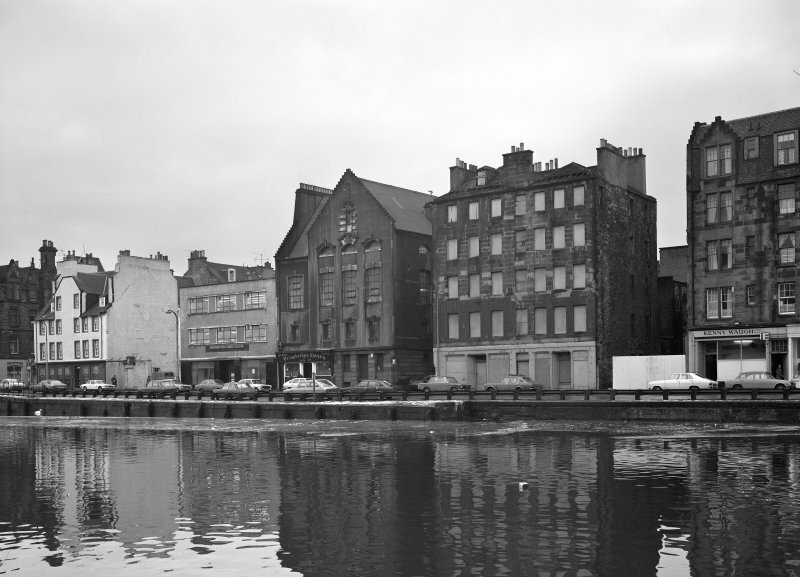 "To be sold by public roup in Lawson's Coffee House in Leith, on Monday the 29th January 1770, betwixt the hours of three and four O'clock in the afternoon, "That plain Stone House on the Shore of Leith, Planned by the late Mr Robert Ramsey merchant, consisting of three storied and a large garret. 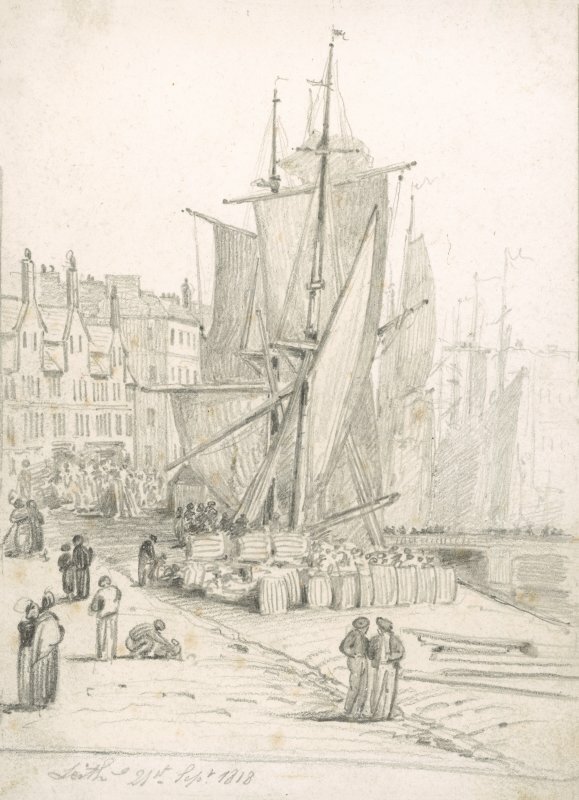 The first flat consisting of a handsome Parlour and Compting-room and Closet, a bed Chamber with two Closets, a large Kitchen with two vents, a pantry, and Servant's Bed-Place. -The second flat consisting of a Dining room, Drawing Room, two large Bedroomswith there (sic) light Closets, a good lobby and a light closet for the Servants accessarie for table. - The third flat consisting of four good Bed-Rooms and four clostets. There is an elegant mahogony rail from top to bottomof the staircase. - The first and second flats have in each room handsome Marble Concaves and Hearths; the whole rooms elegantly finished and painted - .Under the house are two vaults with catacombs and vents in each; two shops to the fore-street with vents, and each has agood back room with vents. Behind the House, a good Back-court and little garden, a good pumpwell of water, a Back-Kitchen and Milk-house, with Cellars and Lofts, a Stable and two Hay-Lofts. 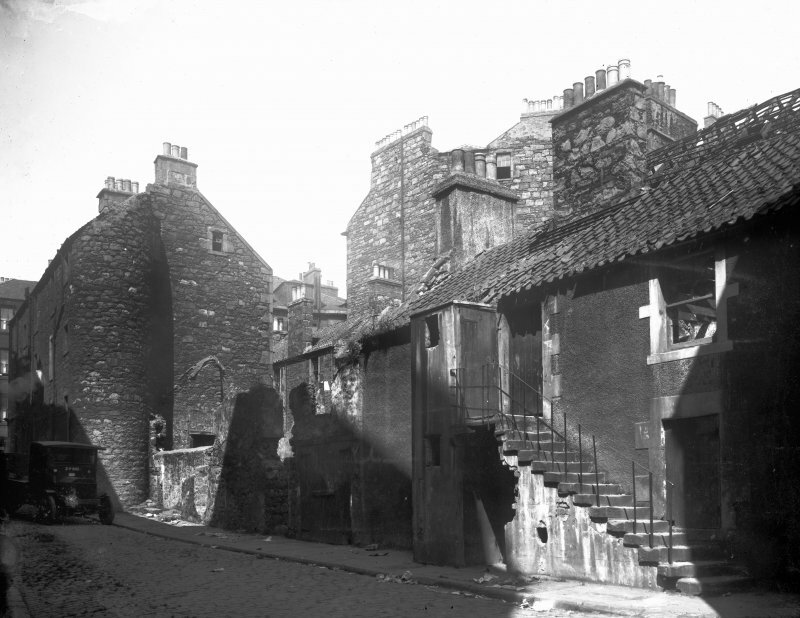 Two Dwelling-Houses at the back-entry into Rottonrow, paying in whole only L. 70 sterling yearly". 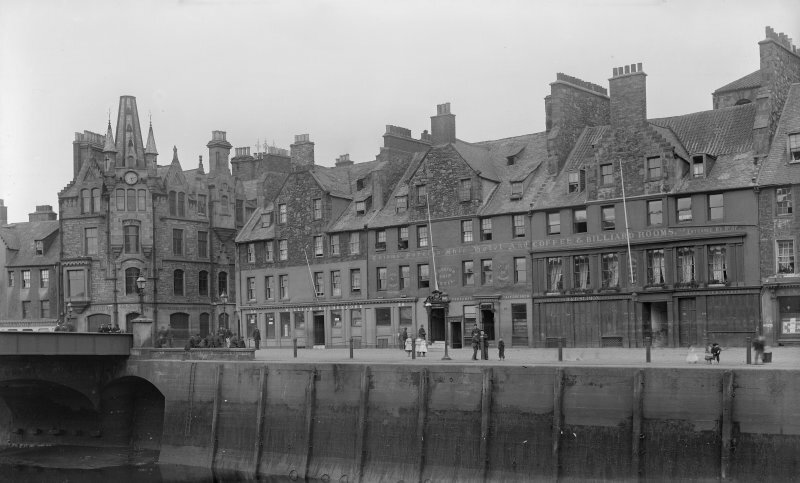 "The articles and conditions of roup to be seen in the hands of George Home town-clerk of Leith; and any person inclining to make a private bargain before before the day of sale, may aaply to James Thomson merchant in Leith, the proprieter. "N.B. The house has a flat roof or balcony covered with lead, as are all the tops of the windows of the third flat. - The whole being insured in the Edinburgh Friendly Insurance Office. - The House may be viewed every Tuesday and Saturday, betwixt twelve and one o'clock." National Library - 'Builder's Journal' August 23rd 1899. Pet. 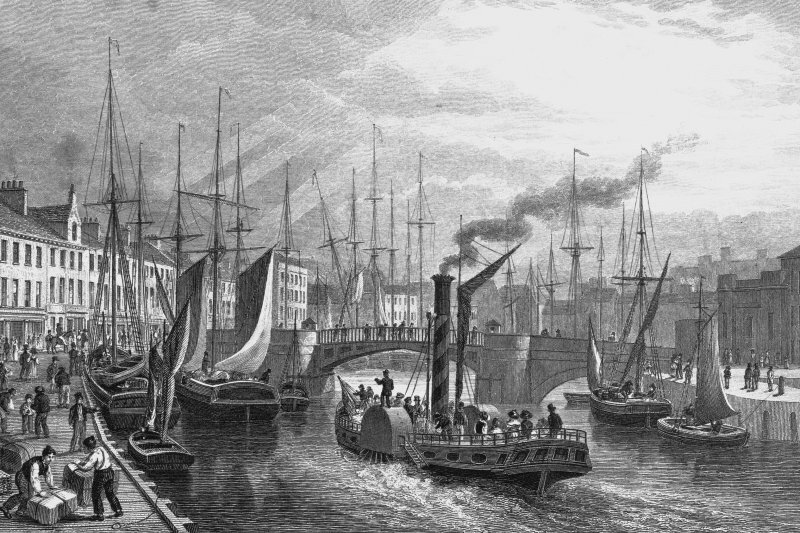 John Crawford and Directors opf the Old Shipping Company between Leith and London. Minor alterations to exterior - some indications of two floors. Pet. Robert Mathie, Baker in Alloa. 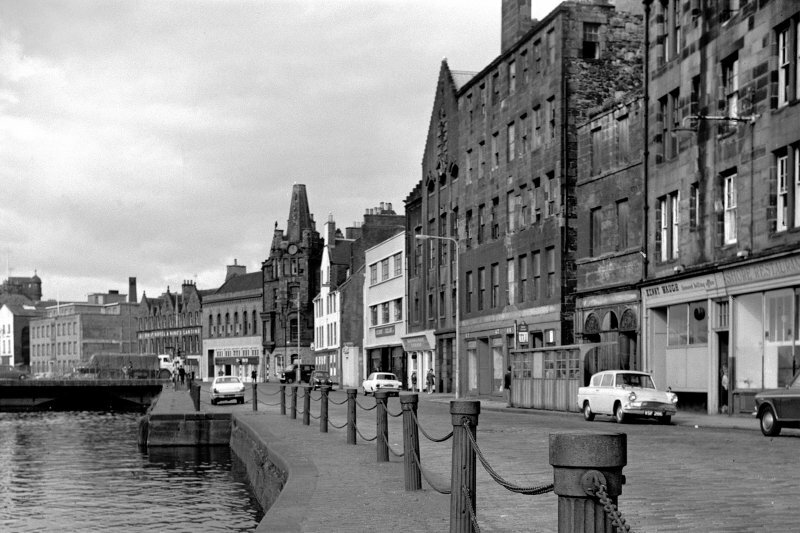 Shore, Leith, to the North of Bernard Street. To make alterations - incl. building an oven. Pet. William C. Mylne, New River Head, London, and David Cleghorn, WS, his Mandatory. 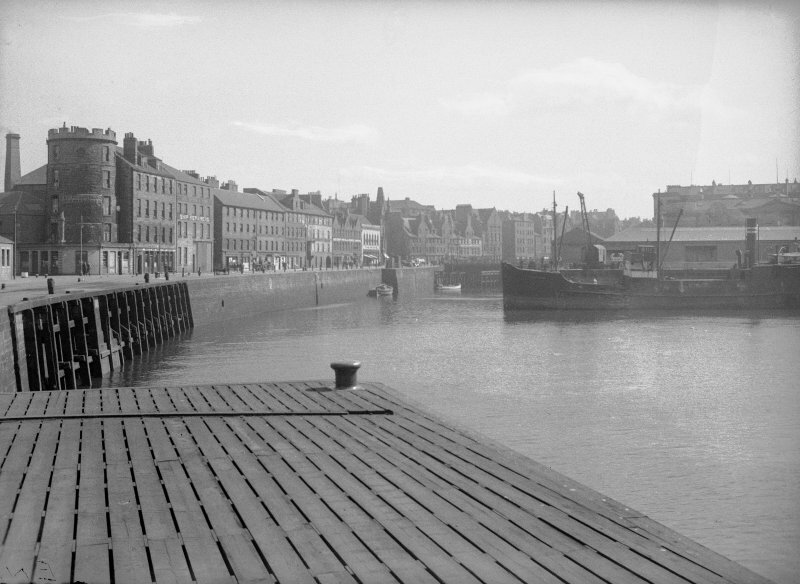 Shore of Leith, near foot of. Convert a dwelling house into two shops - alterations to door and window. Elevation of lower floor and plan. Pet. 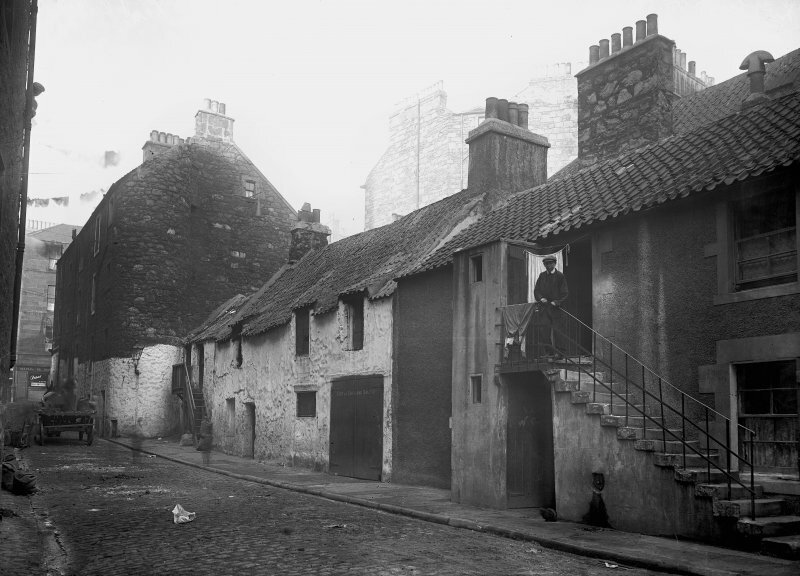 Thomas Bradberry, Vintner in Leith. 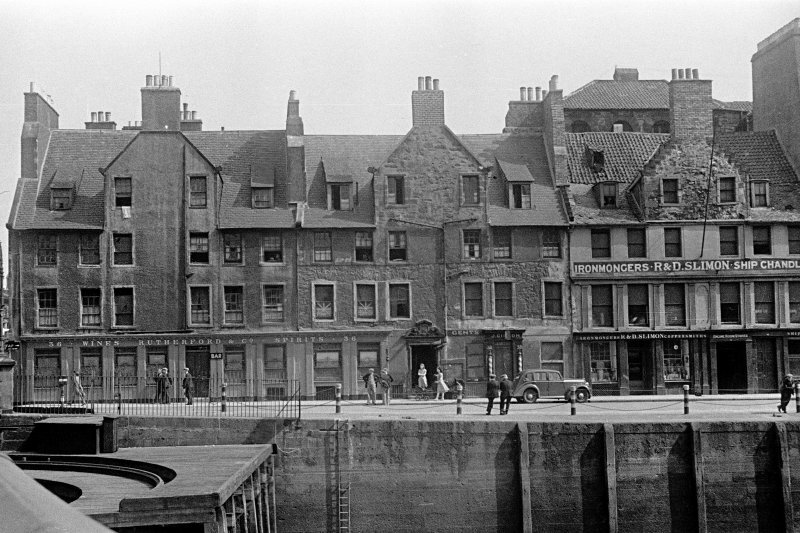 Shore of Leith - foot of. Britannia Inn. Raising walls and putting in guttering. Elevation. Unsigned. 3 floor house.